Looking for a place to host your next party or gathering? 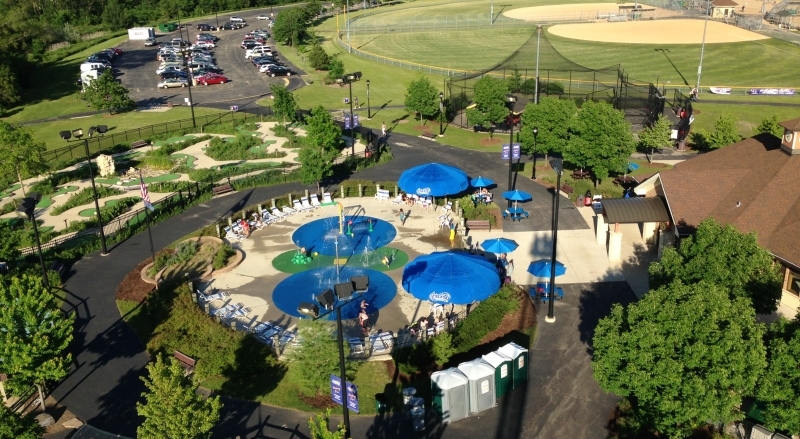 The Elmhurst Park District has the perfect location for your event! This conveniently located facility offers room rentals for groups of 20-100 people. Perfect for business meetings, seminars or group gatherings. Evenings and weekend rentals are available. A $50 refundable security deposit is required to hold the date. The rental fee is $90 per hour with a $20 setup fee for a district resident or $110 per hour for a non-resident with a $20 set up fee. If you are interested in renting The Abbey or would like more information regarding availability, please fill out The Abbey Facility Rental Form, email Mike at mmonell@epd.org or call (630) 993-8188. Courts Plus is a perfect location for hosting school groups, youth groups, and corporate team building events. 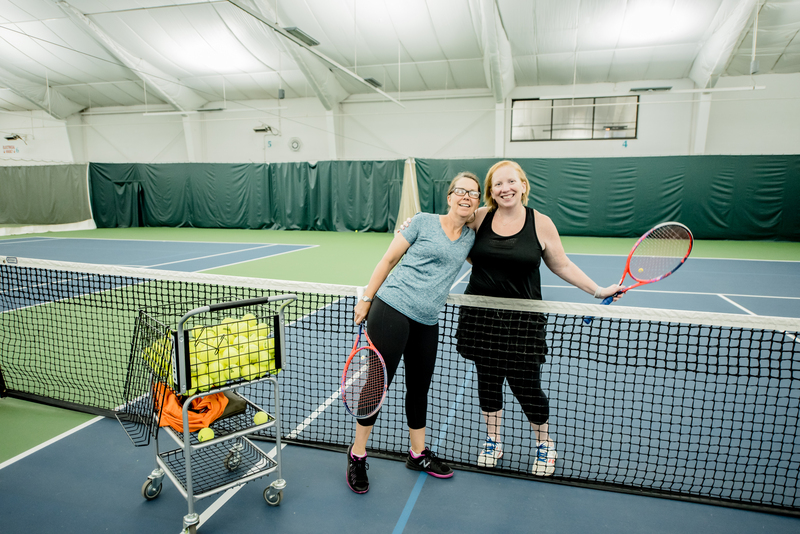 We offer various rental packages in the following Courts Plus areas: Climbing Wall, Tennis and Racquetball Courts, and the Multipurpose Room & Conference Room. Contact the Rental Supervisor at (630) 993-8186. Looking for new heights? Come and climb up Courts Plus’ own Mt. Endeavor. 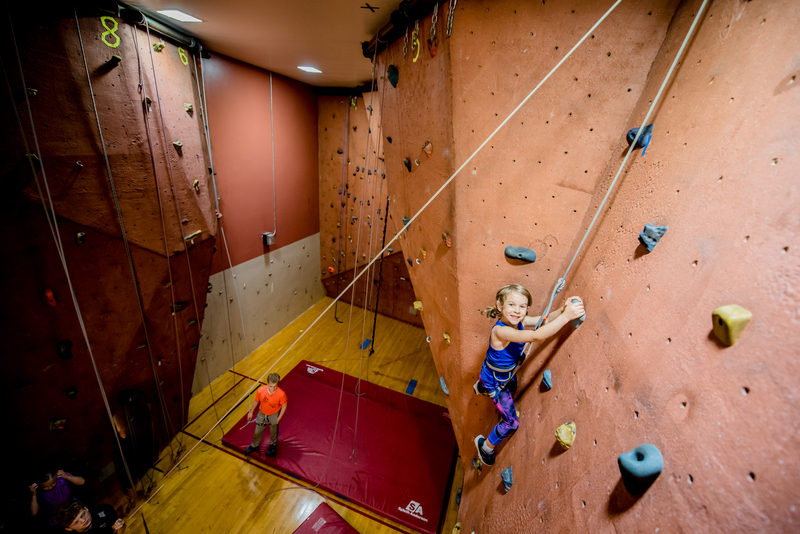 Climbing Wall rentals are available for participants ages 6 and up on Fridays from 5-9 p.m., Saturdays from 2-9 p.m., and Sundays from Noon-9 p.m. The fee is $10 per person (maximum 20) for 1 hour. Groups will be charged $50 for each additional hour. Rentals include the use of harness, shoes, and instruction. If you are interested in renting the Climbing Wall or would like more information regarding availability, please contact the Rental Supervisor at (630) 993-8186. Challenge family and friends to a game of tennis or racquetball. Six indoor tennis courts and three indoor racquetball courts are available. Tennis court rentals (maximum 4 per court) are available seven days a week. 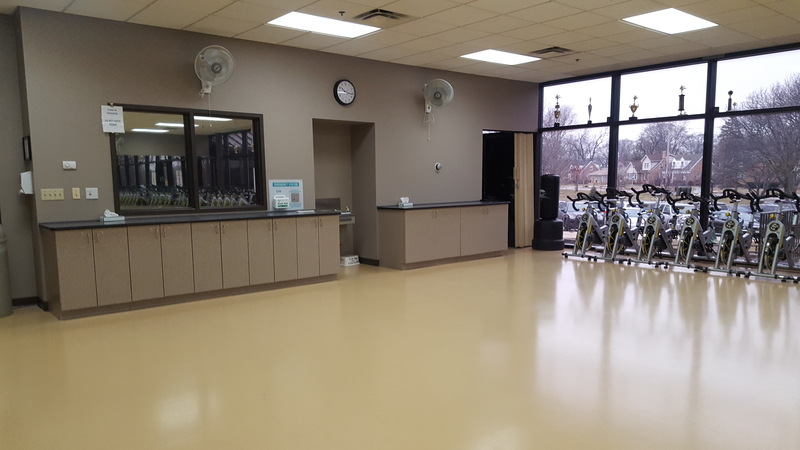 If you are interested in renting the Tennis and Racquetball Courts or would like more information regarding availability, please contact the Rental Supervisor at (630) 993-8186. Looking for a venue for your next meeting? Try the Courts Plus Multipurpose Room. The Multipurpose Room can be rented out for groups up to 80 people. This versatile room will accommodate anything from a luncheon to a business presentation. Looking for something more intimate? Try the Conference Room, which holds up to 15 people. The Multipurpose Room is available for $60 per hour ($20 additional set up fee). The Conference Room is available for $40 per hour. Standard meeting setup is included in the fee with a Conference Room rental. 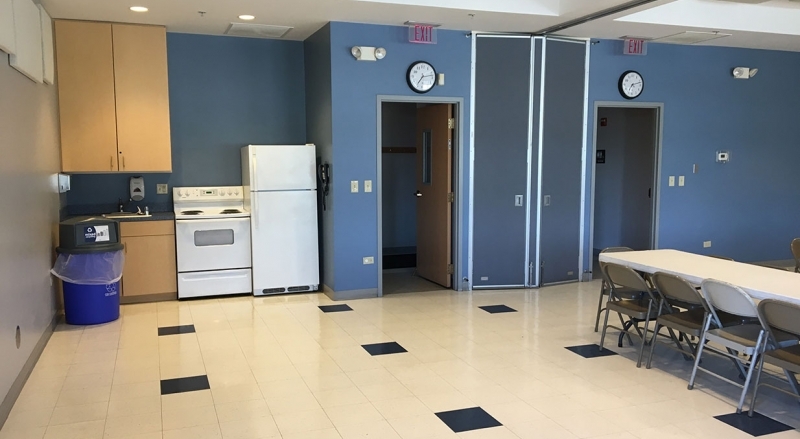 If you are interested in renting the Multipurpose Room & Conference Room or would like more information regarding availability, please contact the Rental Supervisor at (630) 993-8186. The Hub at Berens Park is a perfect location to hold your next reunion, shower or company outing. To book a Hub private rental, fill out the Private Rental Application and email it to the Andrea Juricic. Parties must be scheduled a minimum of 10 days prior to the requested date prior to the party. Call (630) 993-4955 for more information or email Andrea Juricic. Hub Party Room: The perfect location for your party and holds up to 60 people. Includes set-up and takedown of tables and chairs and staff to assist with the facility on the day of your event. Fee October-April: $75 resident/$94 non-resident per hour; $50 refundable damage deposit due at time of booking. Fee May-September: $85 resident/$106 non-resident per hour; $50 refundable damage deposit due at time of booking. 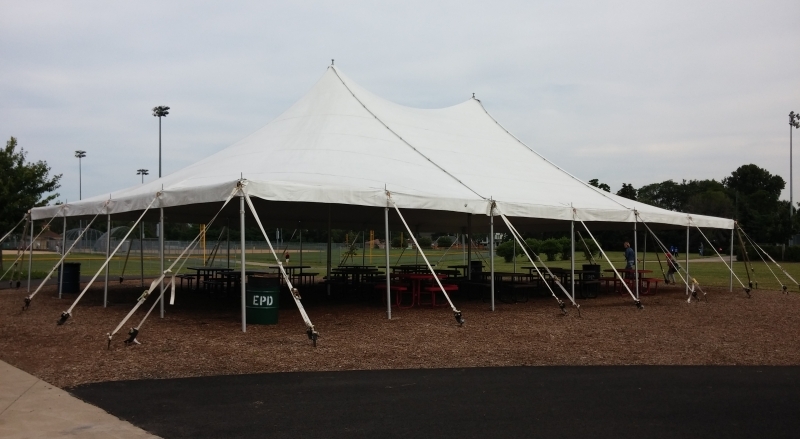 40' x 60' Outdoor Tent: Available May-September, the tent holds up to 120 people with picnic tables. Staff will be available to assist with facility on day of event. Fee: $85 resident/$106 non-resident per hour; $50 refundable damage deposit due at time of booking. Hub Party Room & Outdoor Tent: Available May-September. Party Room holds 60 people, 40' x 60' Outdoor Tent holds 120 people with picnic tables. Includes set-up and takedown of tables and chairs in Party Room and staff to assist with the facility on the day of your event. Fee: $150 resident/$187 non-resident per hour; $50 refundable damage deposit due at time of booking. The Hub at Berens Park is a perfect location to have an outing for your camp, church group, day care, or any group over 20 participants. Pick the activity package that best meets your needs. Don't forget about the additional amenities at The Hub-the beautiful Beren's Park where you can bring your picnic lunch, play in the playground and enjoy the great outdoors. Food Packages are available for an additional fee. Each activity has a maximum number of 25 participants at one time; you are welcome to split up your group and have some participants play in the park/playground, while others play in the activity. To book a Hub group outing, fill out the Group Outing Application and email it to Andrea Juricic. Parties must be scheduled a minimum of 10 days prior to the requested date prior to the party. Call (630) 993-4955 for more information. Check out pricing, activity information and food packages on the Group Outings at The Hub Information Page. The two outdoor pools, Norman P. Smalley Pool or East End Pool, are available for rental by groups during the summer when events are not scheduled. Click here for information on availability and request form. For more information, email the Aquatics Program Manager or call (630) 993-4724. 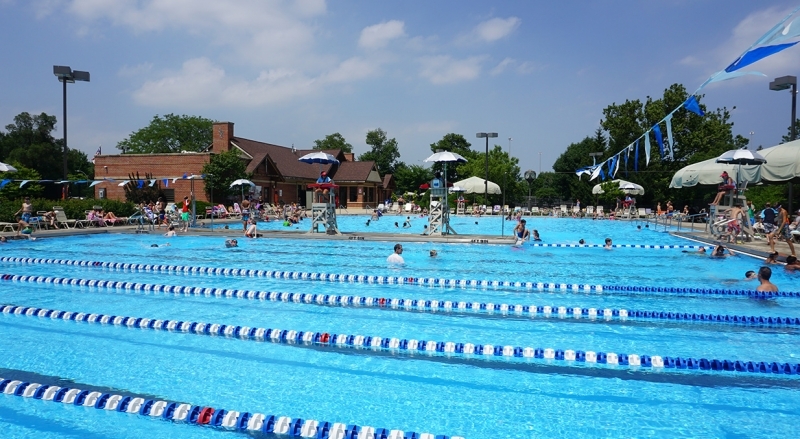 Bring your camp, school, or any other kind of group to East End and Norman P. Smalley Pools! Every group is required to have their participants swim tested. These free assessments are administered onsite by pool staff. Each facility has designated swim areas for proficient swimmers as well as weaker/non-swimmers. Participants who do not successfully complete the assessment will only be limited to certain areas, must wear a wristband and must wear a fitted lifejacket when they are in or by the pool. A limited number of Coast Guard approved lifejackets in a variety of sizes are available at each facility for patron use. Patrons are permitted to bring their own lifejackets, however they must be Coast Guard approved. Click here for information on reservations and an application form. Looking for a private setting with a splendid view of a premier golf course? The Sugar Creek Golf Course Clubhouse offers an intimate location for your upcoming banquet complete with customized menus, personalized event planning, a full-service bar, fireplace, and an outdoor dining deck. This banquet clubhouse accommodates 110 guests indoors and 160 guests including outdoor seating. For more information, please visit the Sugar Creek Golf Course Clubhouse to book your next event. Add Victorian grandeur to your next event at Wilder Mansion. Opened in December 2008, Wilder Mansion has become the premier event venue in Elmhurst, providing 9,000 sq. feet of rental space for hosting meetings, parties, special events and weddings. Capable of entertaining up to 250 guests, Wilder Mansion is available for rental seven days per week, with rental packages that include use of the entire mansion or specific rooms. For more information, please visit Wilder Mansion to book your next event. Have the wedding you’ve been dreaming of in Wilder Park. The enchanting formal garden is available for your special day, providing an elegant setting for your ceremony. With a sunken ceremony garden that seats up to 130 guests and on-site staff to assist with your needs, you can relax amidst lush surroundings. Garden weddings in Wilder Park Formal Garden are available each year between the months of May and October, on Friday evenings and weekends.